Just as the Skate series was a more realistic counterpart to Tony Hawk’s Pro Skater, Ubisoft’s Steep is a more grounded and realistic sim-style alternative to SSX and other winter sports games. The hook here is a vast open world set in a mountain range that you’re free to ski and snowboard on, or wingsuit or paraglide over, to your heart’s content. You have to understand that Steep isn’t so much about impossibly high jumps and crazy tricks as it is about replicating the genuine thrills of real snowboarding and skiing and being out in nature during the wintertime and it accomplishes that beautifully. 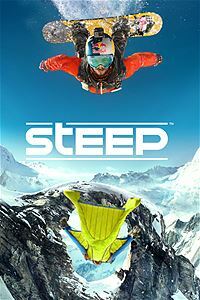 See our full Steep review for all of the details. Steep doesn’t have any sort of narrative to speak of. It just plops you on a mountain and lets you do whatever you want. There is a progression system where you level up to earn new gear and access new events, but Steep is all about letting you tell your own story out on the slopes. The game does feature some rider customization, but rather than making a new character from scratch you just choose one from a handful of pre-made characters – both men and women – and customize their gear. All you ever see of them is their outer gear anyway, so not being able to fully create a character isn’t much of an issue. After a brief tutorial that teaches you how to do things like fly the wingsuit, use the map to teleport anywhere on the mountain, and use binoculars to find new drop zones, Steep takes the training wheels off and lets you go nuts. You can easily switch from skiing to snowboarding and even walking as long as you’re standing still, but paragliding and wingsuit flying require special launch points to work. As is typical of Ubisoft games over the last decade your map quickly becomes filled with drop points and objectives and the gameplay loop consists of choosing an event from the map, which automatically teleports you there, and then making that particular run down the mountain. Most events are time trials or score attack runs but you’ll also do photoshoots or trippy “mountain stories” where the mountain itself narrates a story about doing sick tricks out in nature. You can also, of course, simply make runs down the mountain and go wherever you want and not do events at all. Steep’s main marketing point is that you can play however you want and do whatever you want, and that is mostly true. There are different playstyles that you level up over the course of the game that reward you for simply exploring, doing a lot of tricks, doing extreme riding close to rocks / trees / etc., and even just crashing a lot for the “Bone Collector” category among other things. By leveling any or all of these you unlock new stuff and have more fun. It is also noteworthy that you can, theoretically, only do either skiing or snowboarding and don’t have to mess with the other if you don’t want to. Likewise, you can avoid paragliding entirely if you wish, which is good because paragliding is awful. Play however you want, do whatever you want, and just have fun. Steep gets that part right. The gameplay execution of Steep’s lofty ideas is a little less than perfect, however. First, the good stuff. This is meant to be a slower paced simulations style game, remember, so there aren’t crazy jumps and impossible tricks or anything too wild. 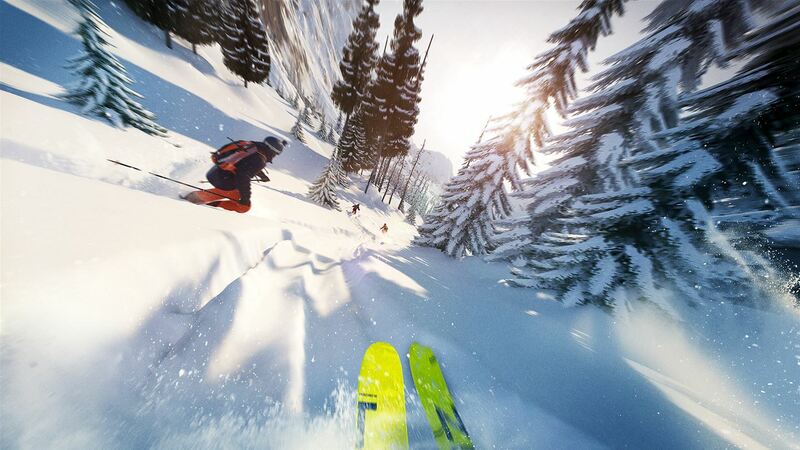 Steep is all about replicating the thrill of winter sports and it does a good job at that. Interestingly, because the game is focused on realism it actually manages to deliver a better sense of speed than just about any other skiing or snowboarding game I’ve ever played. Twisting and turning between trees and through narrow rock crevices is lightning fast and the controls are responsive. Just blasting full speed downhill also just feels really, really fast and thrilling. Steep gets some key gameplay things wrong too, unfortunately. While the game isn’t necessarily focused on tricks, it does have a trick system but it is wildly inconsistent. The tricks are based fully on the physics of your rider at the time so if you don’t get set up to do a jump properly and move the right stick at just the right time, your rider won’t do anything at all which is incredibly frustrating. Even when you think you have the timing and physics figured out it still doesn’t do what you want it to a lot of the time. Another issue is that the game measures the g-force on your rider, which mostly means you can’t just jump off of any old cliff and do anything crazy because you’ll land too hard and get hurt, but this is also inconsistent. You can go off the same jump ten times and get ten different g-force ratings so you never know when a seemingly normal jump will register as a major impact. Also, while the skiing and snowboarding actually feel pretty good when you’re just riding down the mountain and exploring, and the wingsuit flying is surprisingly intuitive, the paragliding – which means flying around with just a parachute and using thermal updrafts to gain altitude - aspect of Steep is just awful. It isn’t intuitive and it is extremely slow and boring and not fun. Pilotwings 64 did it better. In spite of these negatives, Steep can still manage to hook you and you can have a ton of fun with it. The core gameplay of making runs down the mountain(s) is really genuinely fun and you get to see a lot of really pretty scenery along the way. These are giant full sized mountains with tons of different valleys to make runs through, so there is a lot of variety here. The sense of speed, as I mentioned, is also really incredible which adds tremendously to the thrill of just simply skiing and snowboarding down the mountain. 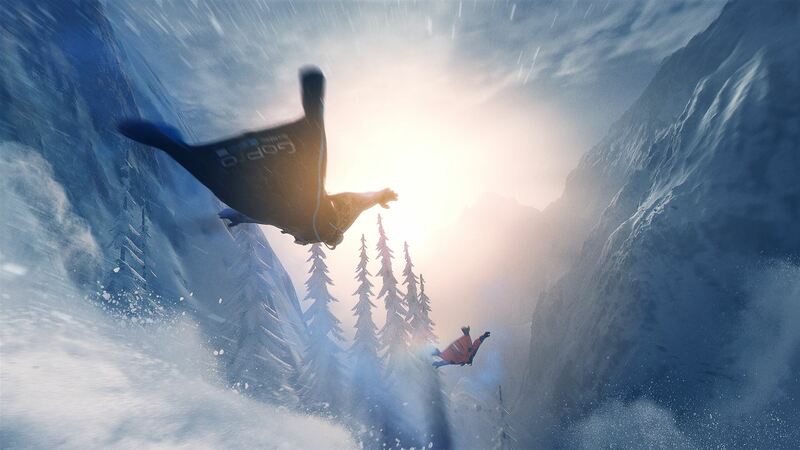 In this way, Steep is one of the more realistic winter sports games ever. And if you are in the mood for some more x-treme action, the wingsuit flying is pretty incredible. It is worth noting that Steep is another always online massively multiplayer game that you can’t play if you aren’t connected to Xbox Live or PSN. This means that if the servers go down or you have Internet issues, you can’t play it. The first few days after release were pretty rough in this regard as Ubisoft’s servers were far from stable, but things have settled down since then and I haven’t had any connection issues. I think it is also worth making it clear that while Steep was designed with the online multiplayer as a focus, it can still be fun playing by yourself. It does get better when playing with people, and you can even party up with strangers you meet out on the mountain if you don’t have friends to play with, but you don’t absolutely have to play multiplayer if you don’t want to. You’ll still see other people out on the mountain, but you don’t have to interact with them if you don’t want to. The presentation in Steep is a high point as the wintry outdoor environments are absolutely stunning. The snow looks great, the trees and rocks are dangerously realistic, the lighting is fantastic, and the animation of the riders is well done. Steep looks pretty darn awesome and runs at a smooth framerate. The sound is also noteworthy simply because of how subtle it is a lot of the time. Just listening to the sound of your board sliding over the snow and the wind whistling by is extremely well done. The game also doesn’t overdo it with having an extreme punk rock attitude and aesthetic like so many games of its type do. It is just a normal realistic winter sports game for normal folks, not exclusively for the X-Games crowd, and I like that a lot. All in all, Steep is a pretty solid first attempt at a new franchise from Ubisoft. If the trick system could be fixed up a bit and some physics inconsistencies similarly ironed out, the gameplay would be pretty awesome overall. As it stands it is a game you can still have a good time with, but one that also clearly didn’t quite reach its potential. 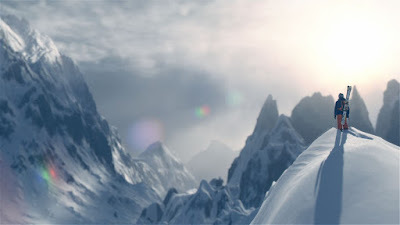 I still feel like Steep is worth checking out for fans looking for a new skiing / snowboarding game, but remember that this isn’t the second coming of SSX. This isn’t a crazy over the top arcade style game focused on tricks. This is a slower paced, more realistic game focused on the joy of riding down a mountain on a fiberglass-coated piece of wood. Keep that in mind and think about what kind of experience you want before you decide to buy. Disclosure: A review code was provided by Ubisoft.